We’d like to thank Mark for sharing today’s story. I had just moved to LA when I was pulled over by a police officer. My offense? Somebody took the registration tag off my license plate before I moved. My car was registered, though, so the officer let me go on my way, but told me I had to go to the DMV for a new tag. A few days later, I had an appointment at the local DMV in Santa Monica. When called to the designated numbered stall to hand in my paperwork, I was met with a charge of 18 dollars. Sure, $18 doesn’t seem like a lot, but my feeling was “Why should I have to pay for someone stealing from me”. Giving my money to the DMV would be like being burglarized twice, except, for the second time, I just hand the thief cash. I argued and argued, then argued some more – explaining my belief that I should not have to pay money because of someone else’s criminal act. After talking to the third ranking official at the DMV, whom I think may have also been the janitor; I tell them they will never get 18 dollars from me, that I would rather be pulled over constantly than give the DMV the satisfaction of robbing me. 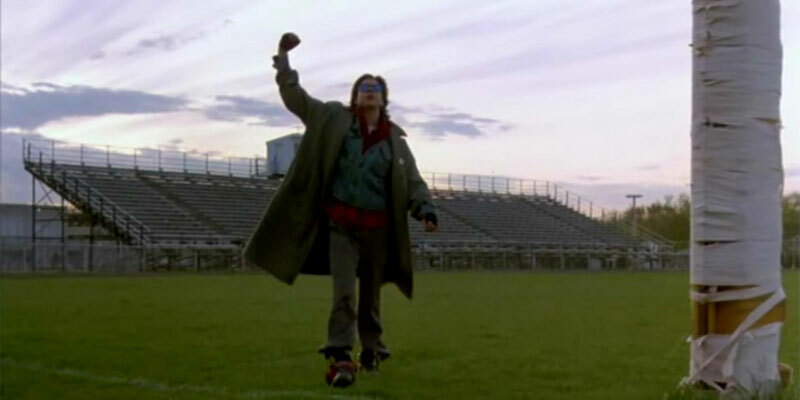 I stormed outside and did a “Judd Nelson from The Breakfast Club” fist pump in the air because I had just stuck it them, when I spotted a man bending down behind my car. I raced over to see what this newest vandal was now doing to my vehicle, letting out a stunned “What the hell are you doing! ?” when, up from a knee, stands Phil Connors himself – Bill Murray. He gave me a classic, wry Murray smile as his eyes pointed down toward the license plate. I look down in disbelief; on it was a brand new tag. Seeing that his job was done, Bill patted me on the shoulder and hopped into his golf cart. As he drove away, he put up a proud “fist in the air” of his own, as he confidently said, “No one will ever believe you”. This story makes very little sense. Did Bill Murray buy you a new tag in the DMV? Did Bill Murray originally steal you tag? It seems really obvious to me that he clearly purchased him a new tag. It quite clearly states it was a brand new tag….. I’m not sure where the confusion is? The DMV doesn’t just let you just purchase a license plate. You need proof of title and insurance proof on the car to purchase a license plate. While I appreciate the spirit of this story, it’s definitely not true. The guy had proof, he was mad he had to pay, and felt the DMV should just issue a replacement. Bill paid the $18 and put it on his plate. Anyone else see the part about Bill driving off in a golf cart? That was the major clue this is fake, lol. “Of course Bill was driving a golf cart to the DMV, but he sure as hell didn’t pay for this guys tabs, I call BS…” Lmao! It isn’t a “License Plate” it’s a registration tag ON a license plate.